The Lloyds low cost Ink Proofer (SF92NM1) is for quick, repeatable and high accuracy proofing and colour-matching on all types of litho, web- offset, letterpress inks and varnishes. Smmart proofers saves time & cost as it eliminates the need of a printing press. This versatile equipment print strips of 50 mm x 150 mm with a set ink layer thickness which can be used for multiple application. 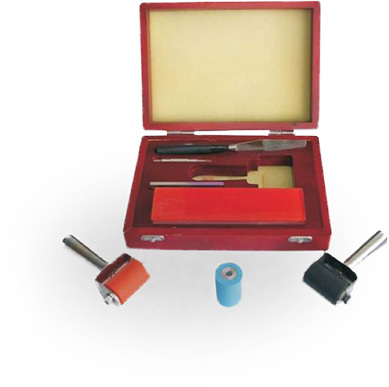 The Ink Proofing Kit consists of a compact kit housed in a sturdy wooden case. It can quickly produce a proof that replicate show ink will appear on a printed copy from the press. The kit consists of a smooth flat glass plate, a steel measuring bar and plunger for obtaining an accurate predetermined volume of ink, a steel spatula for filling the measuring bar. 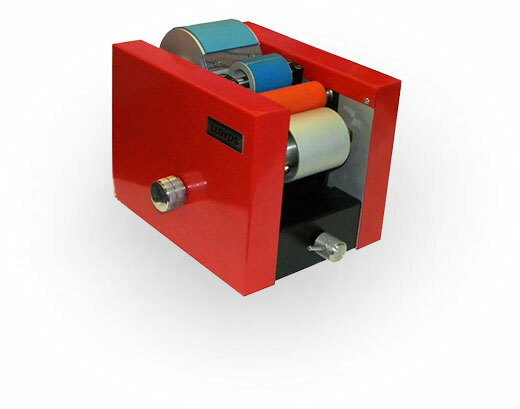 The roller assembly,consists of a nitrile pvc blend roller that will work with conventional, hybrid, and UV inks. The roller is used to distribute the ink on the plate and make a proof.